On Friday 7th we also strewed some meadow cuttings onto grass areas at the front to encourage them to become meadows areas. We laid out the hay as thin as possible on top of the surface. 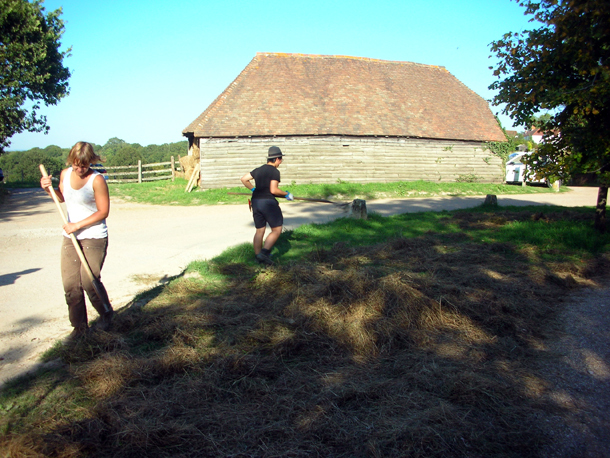 The process of carrying the hay around by hand also increases the chances of seeds dropping out and spreading around more.